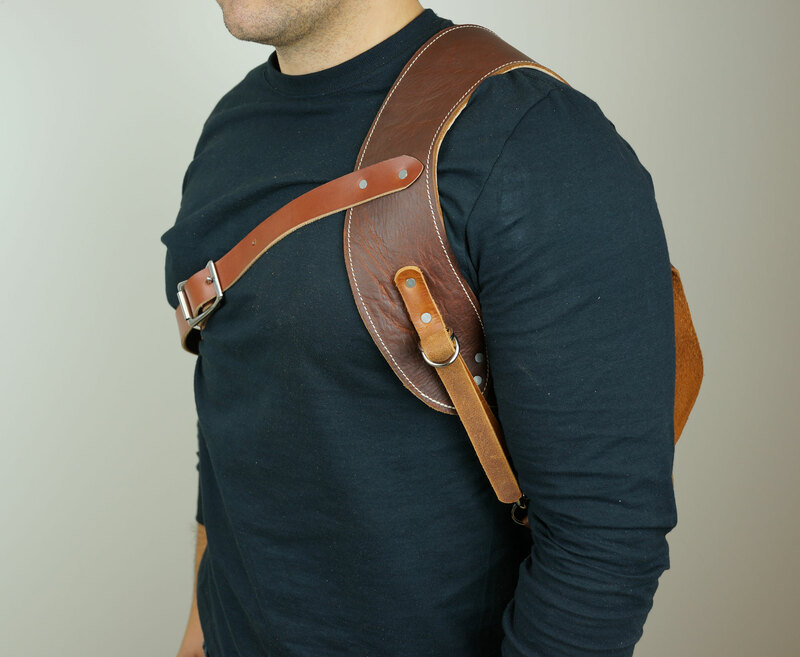 The shoulder strap has now been redesigned to wrap around your shoulder like a gun harness. It looks really sharp and spreads the weight out evenly over the shoulder. 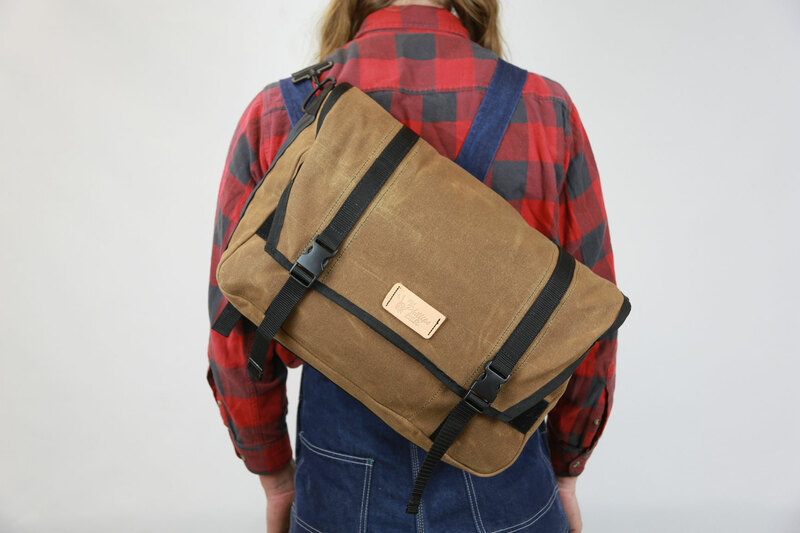 This bag is made of thick 24 ounce US made waxed canvas from one of the oldest canvas mills in the US and oil tanned leather. It is large enough to hold a 15” laptop and much more. 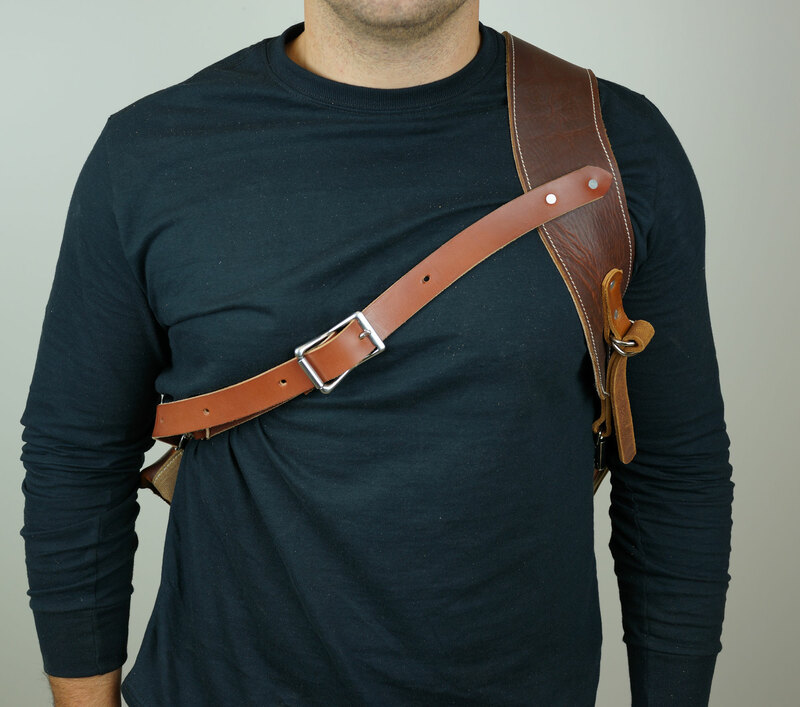 It is designed to be worn the traditional way or on your back along with a strap that goes under your arm to keep it from twisting. The bag is designed to hold everything in when closed. 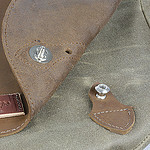 It has two compartments. 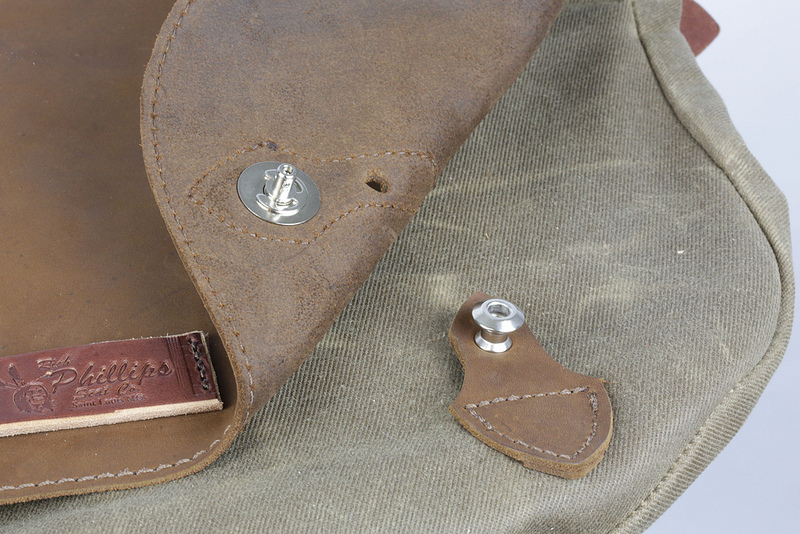 The straps are all made of 12 ounce Vegetable tanned Leather. 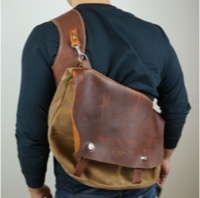 The back is padded to keep the items in it from poking in to your back. The closures have been tested at up to 800 pounds before releasing. They release with just a push of a button and a tug. Perfect for a jacket your wallet, phone, a six pack, and keys. 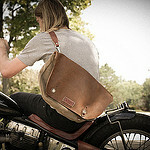 Works great on the motorcycle or bicycle or just for getting to school or work. 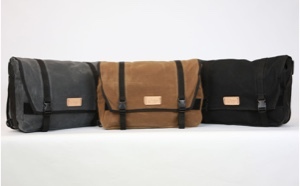 100 percent made in the USA OF US SOURCED MATERIALS. 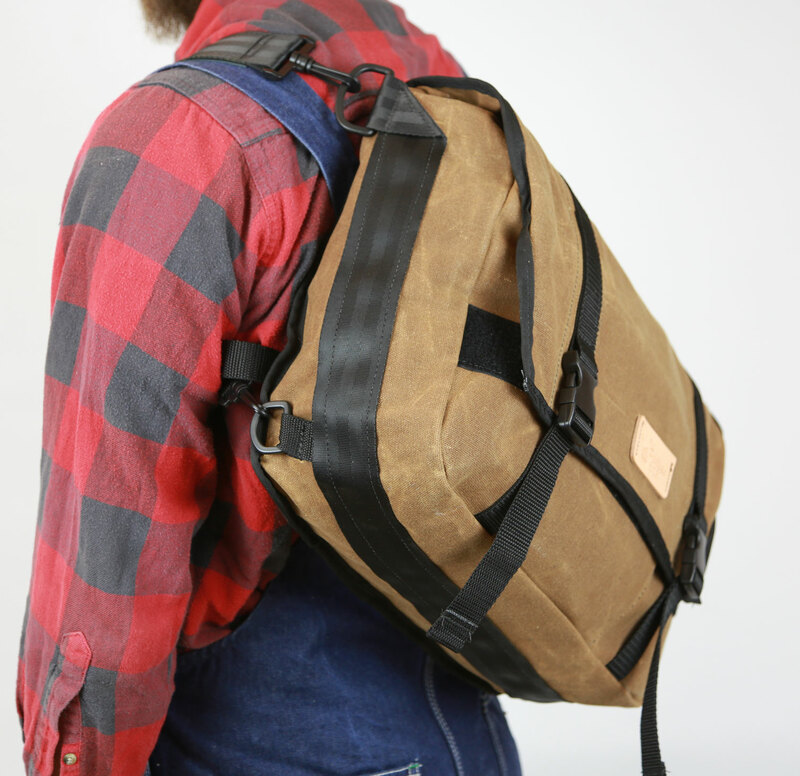 This versatile bag features all waxed canvas and nylon construction. Made in USA. 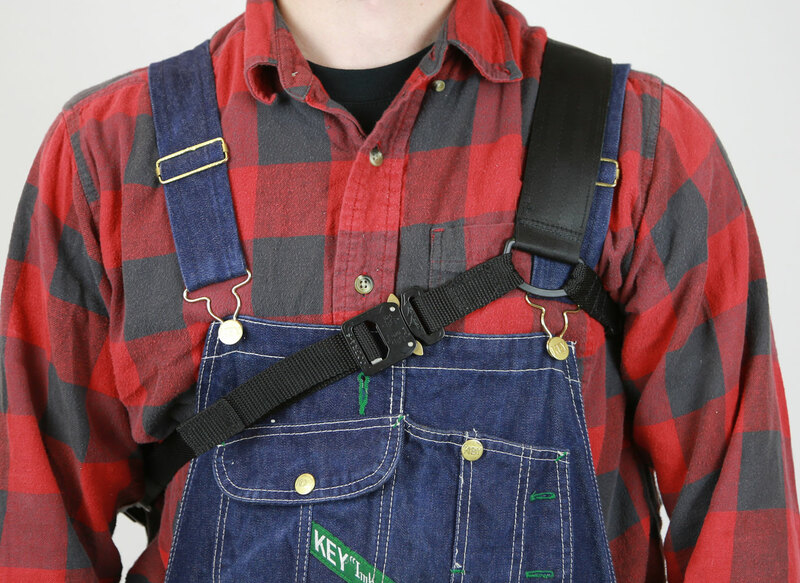 You can get it with our leather harness, or our 3 point nylon harness featuring the cobra-s billet aluminum buckle in the front, or go with traditional over the shoulder strap. 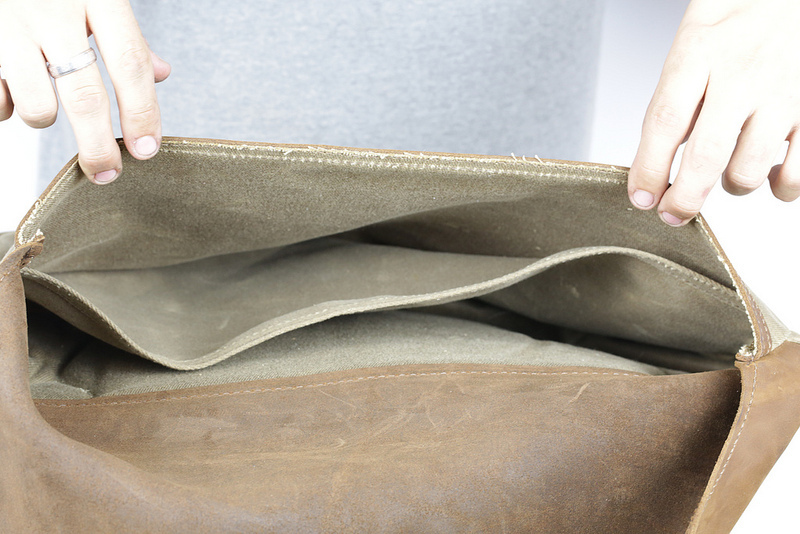 The bag measures 19” wide by 10” tall and 6” deep. 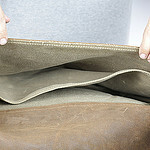 It has two pockets in the front and a main compartment. 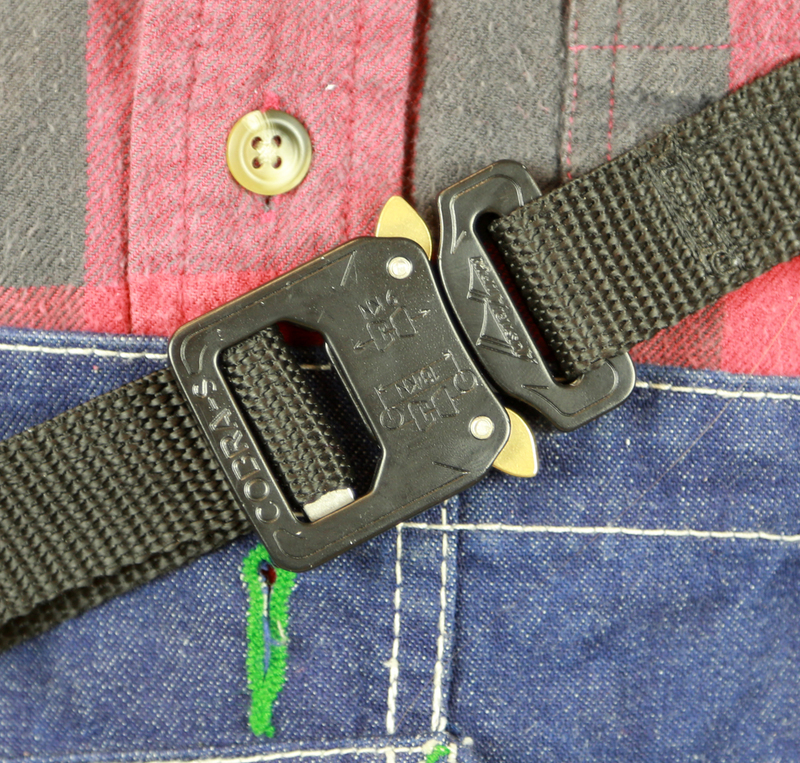 It is held down with velcro and plastic pinch snaps. 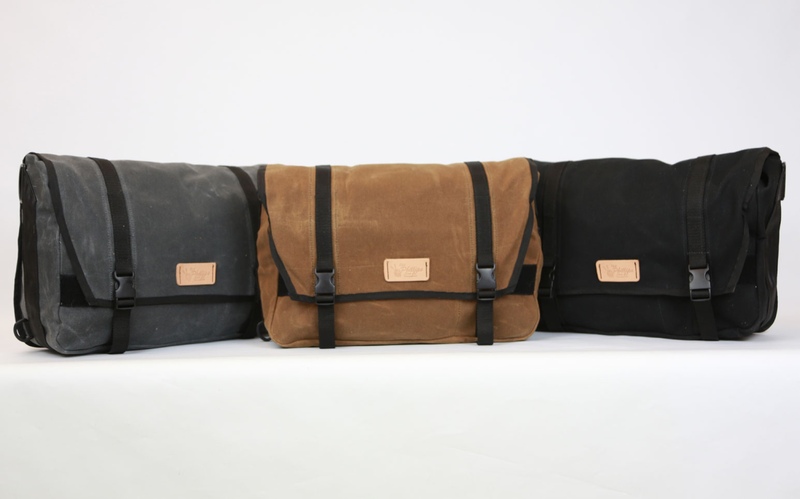 The canvas is 24 ounce waxed martexin, and features some water resistance.